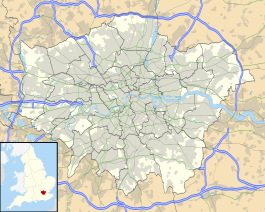 West London Junction was a railway station on the London and Birmingham Railway and West London Railway. It opened on 27 May 1844 and closed on 1 September 1866. The station was relocated and reopened on 2 March 1863 and lasted 3 more years until final closure in 1866. ^ "West London Junction (or Great Western Junction)". Disused Stations. 20 April 2010. ^ "West London Junction (or London & Birmingham Junction)". Disused Stations. 20 April 2010. This page was last edited on 3 June 2017, at 12:17 (UTC).